Standard (3-9 months) - $34.99 Only 4 left! He may be too young to actually enjoy candy, but he's never to young to start getting into the Halloween spirit. 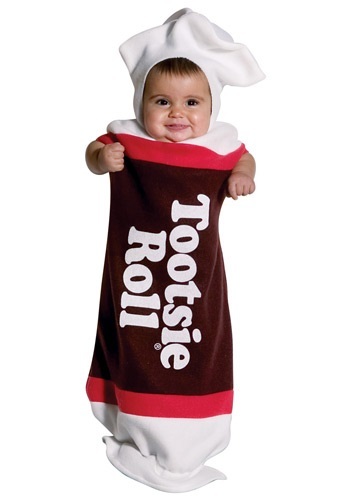 Show off your little sweetie with this Baby Tootsie Roll Costume. He's sure to become everyone's favorite little treat!